Description: From the Artisanaworks Studio/Workroom, a Limited Edition of Artisanaware Decorative Pillow Covers Appliqued with Frayed and Fringed Strips of Bias Cut Cotton. 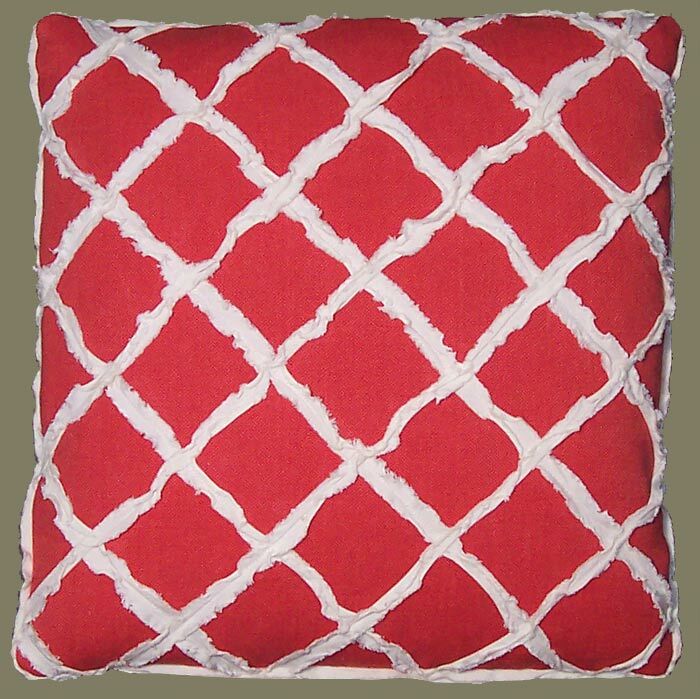 The Off White, Hand Made Chenille Forms a Wavy Lattice Motif on a Ground of Rouenneries Heavy Cotton in a Wonderful, Watermelon Red. Frayed Strips of Cotton Act as Flange Edge Detailing. Mix and Match - Print and Pattern Mix With Coordinating Red Pillows.